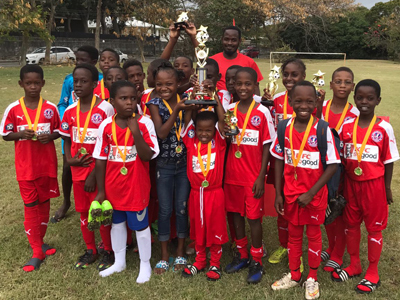 Pinelands Youth Soccer Academy’s President Fernando Best and his team asked THE BREWSTER TRUST for some support in sourcing football equipment for their U-11, U-13, U-15 and U-17 teams. The charity agreed to assist and in close co-operation with PYSA’s main sponsor “KFC” four packages could be provided, each with 16 football shirts, 16 football shorts, 16 pairs of football socks, 2 goalkeeper kits with shirts, shorts, socks and gloves, 18 pairs of shin pads, a team bag, a ice box and water bottle dispenser. 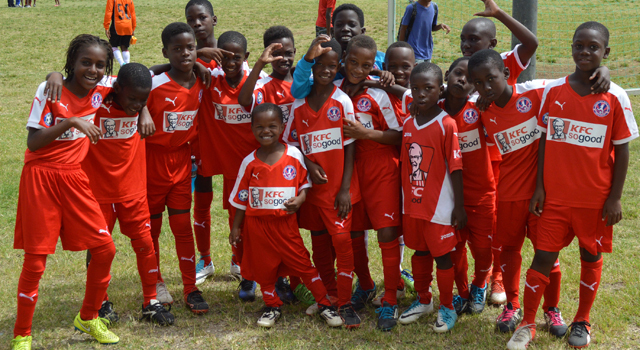 We wish the PYSA best of success with the new equipment!